is a well known Japanese restaurant in Melbourne. Kome means rice and Yui means knot. 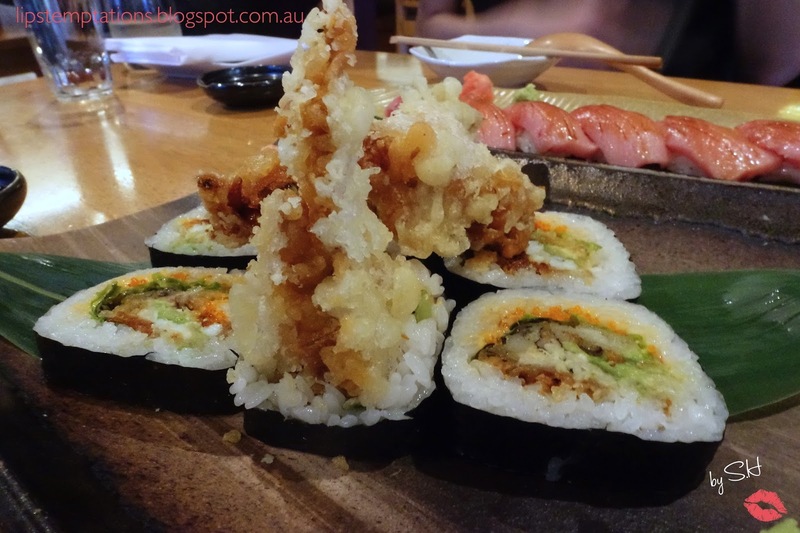 They pride them self on using the freshest ingredients matching their authentic Japanese style. 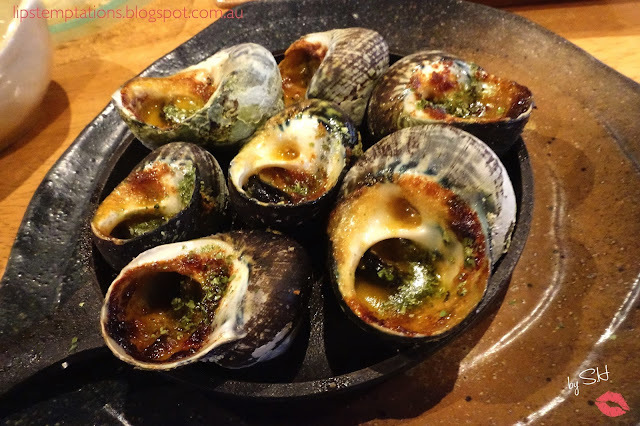 Their rice is cooked in a Hagama " traditonal iron pot" that maintains rice natural flavour as well as their pan fried and grilled dishes are cooked in an earthen charcoal brazier called Shichirin. 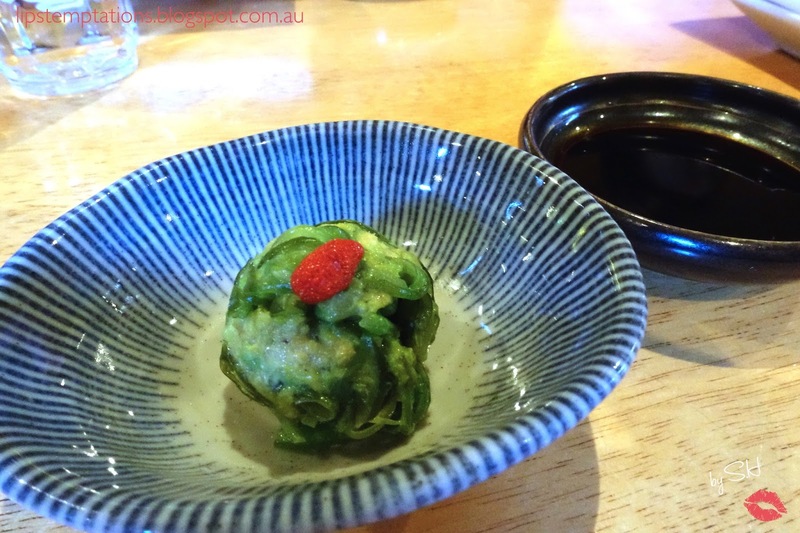 Komeyui head chef and owner, Motomu Komanu moved to Melbourne in 2005 and worked at Kenzan Japanese Restaurant. 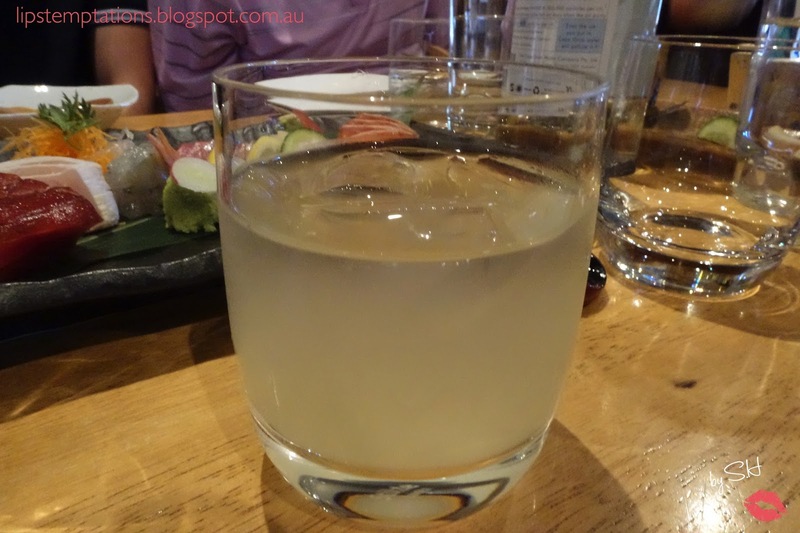 In 2011, he opens Komeyui to introduce people to authentic Japanese food, he truly loves. 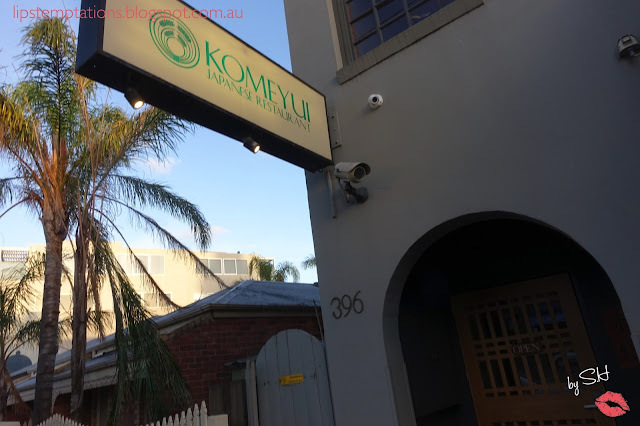 I have been to Komeyui several times and has been a fan from the very first visit. Komeyui is decorated with wooden furniture with a traditional Japanese vibe and service. Reservation is highly recommended since they are almost always busy. Chu-Toro sushi. Tuna comes in various grade, the normal tuna is akami. 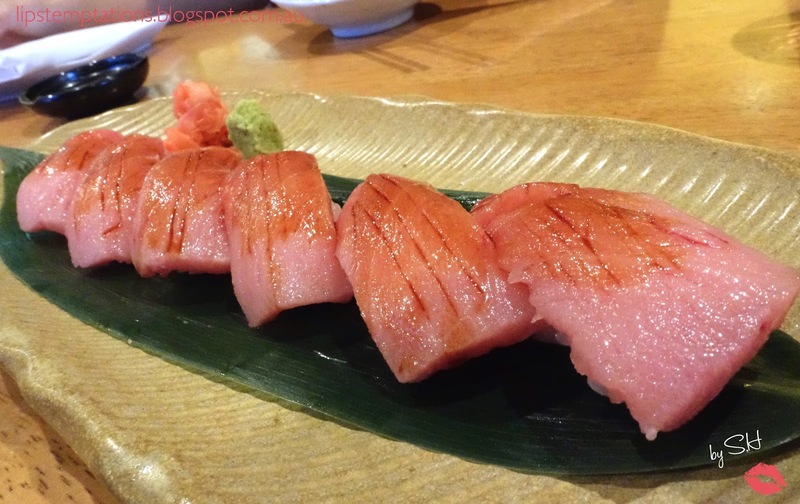 Toro is the fattier belly part of tuna and is divided by two; Chu-toro is medium fatty tuna and Otoro is the fattiest part of the fish. My husband was dreaming of Otoro since our last trip to Japan but they only have Chu-toro that day. Still it was awesome. 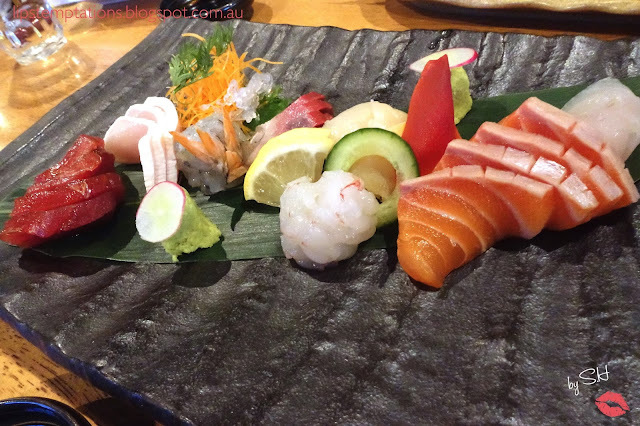 Large Sashimi (18pcs) with 8 kinds of sashimi ($45). 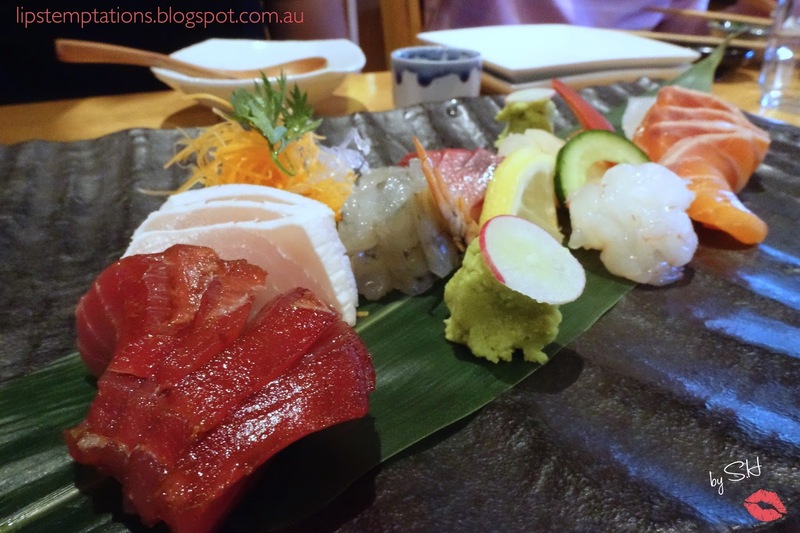 All the sashimi were fresh, well cut and everybody seems to enjoyed it. Soft Shell Crab Roll (6pcs) - fried soft shell crab with avocado, spicy mayonnaise, flying fish roe, lettuce ($22). It was crispy and tasty. 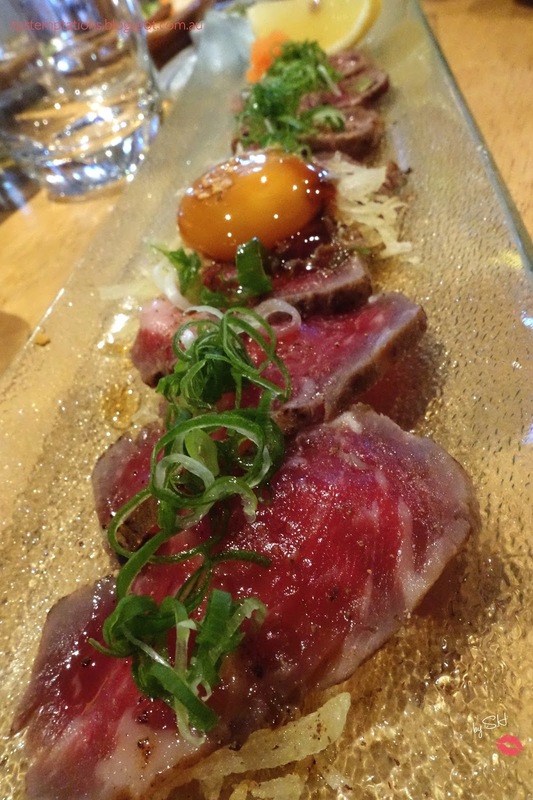 Wagyu Tataki - soy sauce, cured egg yolk ($25). One of my favourite Japanese beef dish and Komeyui excels at it. Seasonal menu: Sea Snails. One of my dining partner that night have this dish before and she loves it, lucky her they have it. It was made perfectly, beware the shell was hot. Seasonal menu: Uni. This is definitely the highlight of the dinner and my personal favourite. 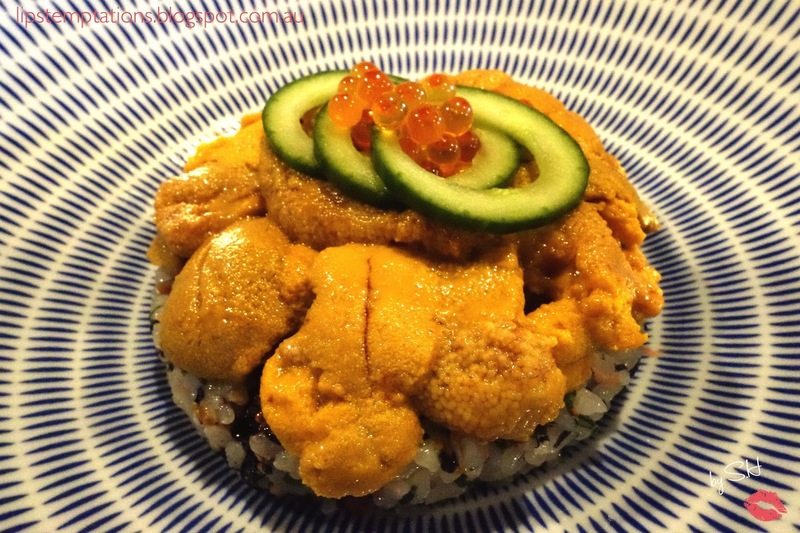 I love uni and it's hard to find fresh uni in Melbourne. 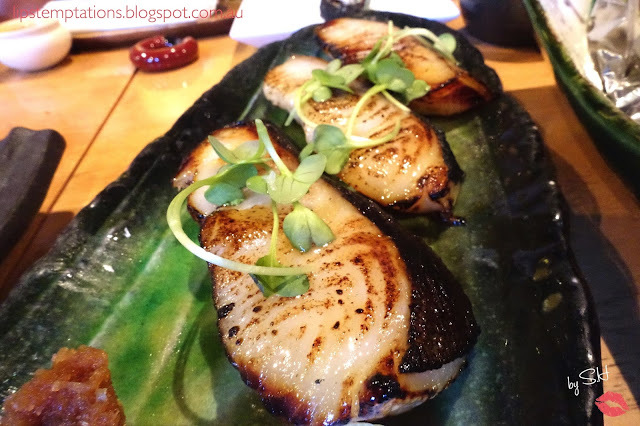 Black Cod "Saikyo-yaki" (3pcs) - Kyoto traditional dish, char-grilled miso marinated cod ($52). It was well cooked and well seasoned. 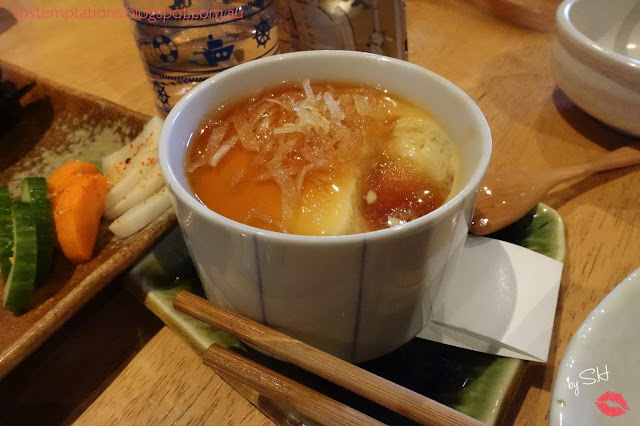 Chawan Mushi - Japanese steamed savoury egg custard with treasures such as a piece of prawn, chicken, ginko nut hidden inside ($12.5). 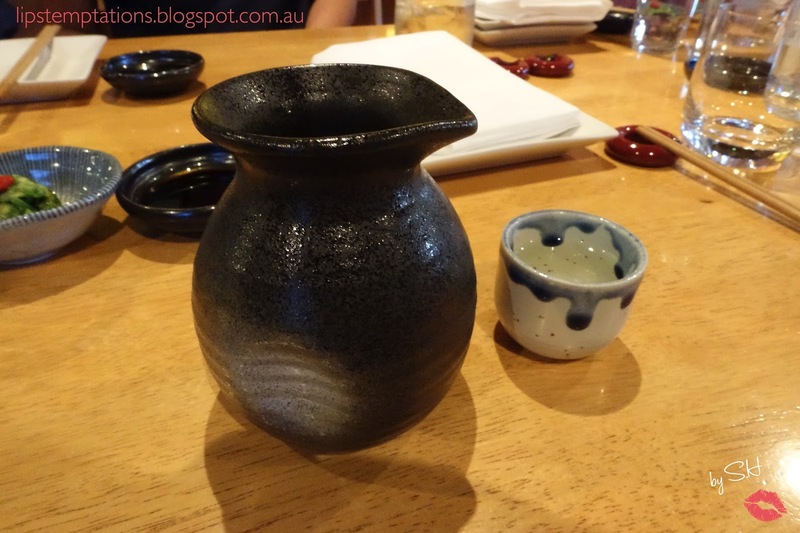 Their chawan mushi is one of the best chawan mushi in melbourne. 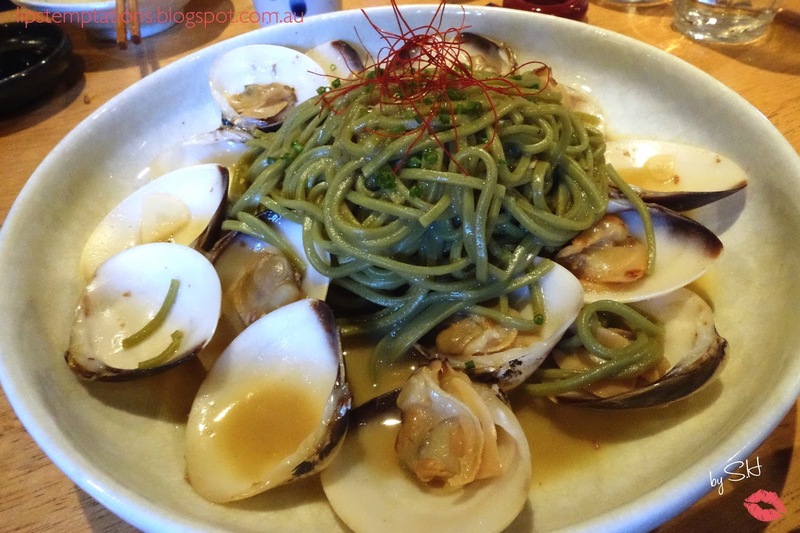 Seasonal menu: Cha-soba Alle Vongole - Italian inspired seafood noodle with garlic, chilli, olive oil, clams and bit of plum butter sauce. I was attracted to this dish because I have never eaten something like this before. It was a good unique combinations. 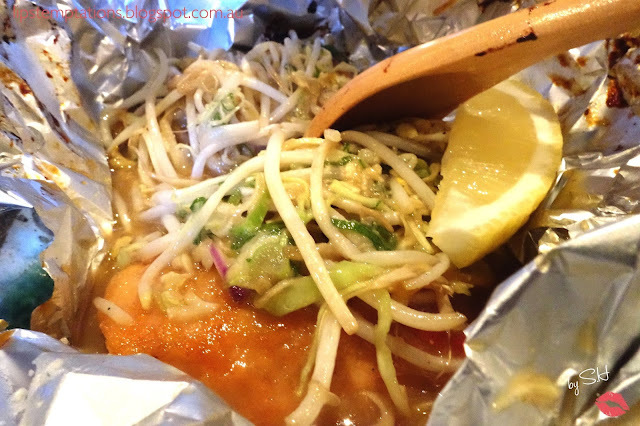 Chan Chan (1pcs) - Hokkaido speciality dish, foil wrapped grilled salmon with miso butter sauce and vegetables ($22). This wasn't my favourite dish of the night, it's just completely over shadowed by the rest of the dish. Complimentary Honeydew. 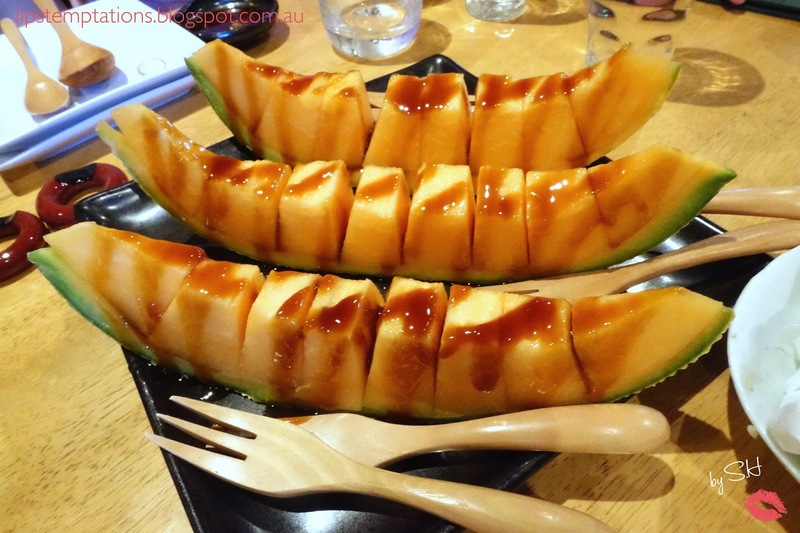 Even their complimentary honeydew taste good, it was sweet, fresh and the perfect end to the dinner. 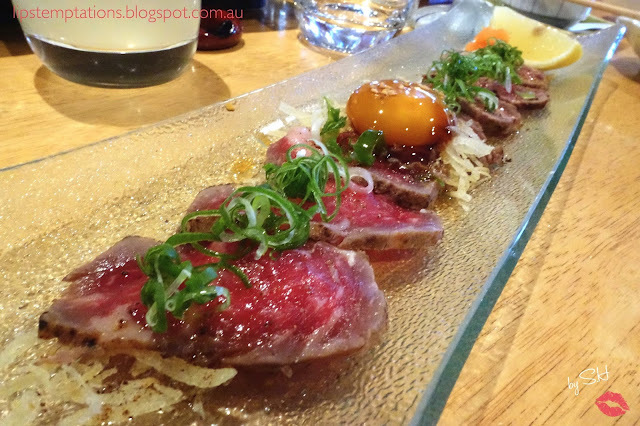 A couple other dish I would recommend is their seasonal menu: fresh oyster, wagyu sushi roll and ootoro. Overall, until very end it was a satisfying dinner and won't be my lunch visit to Komeyui.